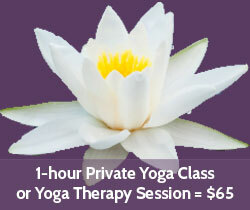 Yoga Therapy | Catherine Reid - B.A., R.Y.T. In these relaxed sessions we’ll use some of the principles of yoga - breath, movement, and stillness - to reduce stiffness, ease pain, and increase your range of comfortable motion. Techniques are used that would take place in a regular yoga class, such as deep relaxation, simple poses, breath practice, and support from specialized materials. These private sessions are particularly suitable for many chronic conditions which have persisted despite conventional medical treatment. Are you looking for effective ways to manage pain without medication? Simply learning how to breathe properly can significantly reduce pain. Over and over, clients have said at the end of their session, “That’s the first time I’ve been out of pain in months”. 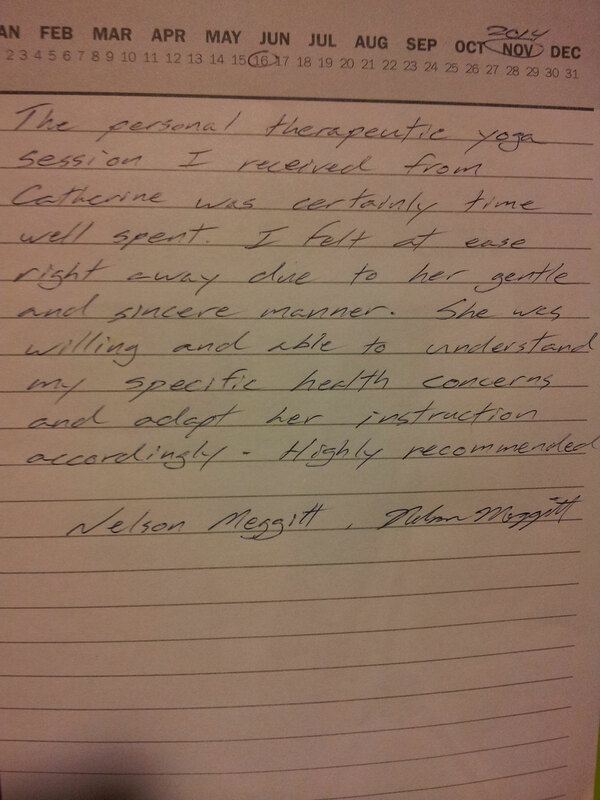 The personal therapeutic yoga session I received from Catherine Reid was certainly time well spent. I felt at ease right away due to her gentle and sincere manner. She was willing and able to understand my specific health concerns and adapt her instruction accordingly. Highly recommended. 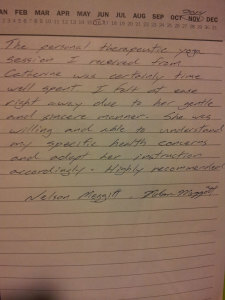 Since practicing restorative yoga with Catherine on a regular basis, I have greatly reduced the need for other forms of therapy such as massage and chiropractic. As a busy business owner, yoga has helped reduce my stress and stress-related stiffness. The postures are also designed specifically as a counterbalance to the often poor posture and repetitive nature of my job. The increased movement and flexibility have greatly reduced work-related incidences of chronic soreness and injury. I booked 5 personal sessions and I could not be more pleased with the outcome. Catherine embodies what I believe about yoga - Mind, Heart, Body connection. Her joyful manner, solid knowledge of poses and the reminder of listening to the body, had me looking forward to each day. If anyone has any hesitation due to mobility issues or heart issues, I would highly recommend they see Catherine for a one-on-one experience. She is truly a gift. These one-on-one sessions can have profound effects on your ability to move enjoyably at home, at work, and at play. If you’re new to yoga, this is a gentle introduction. If you already practice yoga, you’ll experience new levels of understanding how your body works, and how to modify some postures to fit your body type.